We provide our clients with a wide range of Industrial Compactors System that is a perfect choice for ground feed applications. 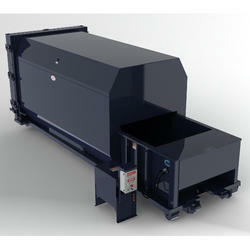 Offered at industry leading price, these compactors are specially designed to accept larger material. Further, these are manufactured using quality raw material to ensure long working life. 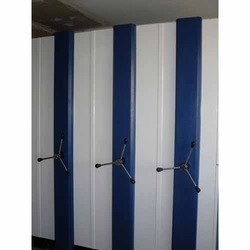 Our range is inexpensive and available in various specifications to fulfill different requirements of clients. We are engaged in manufacturing and supplying High Grade Mobile System. These systems are used by Companies engaged in production of the mobiles. The systems offered by us are manufactured according to the set industrial standards using high grade raw material. In addition to this, we also test these systems on various parameters. 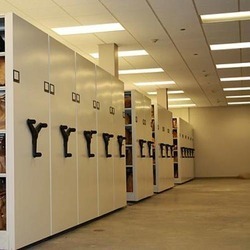 Compactor provides a solution to your storage needs and increases storage efficiency with a systematic filing and retrieval of storage materials. 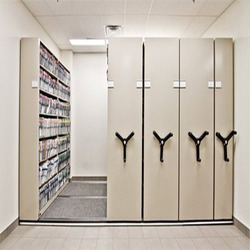 Mechanical Mobile Storage System comprises of movable bays resting on rails, the bays are solidly constructed to withstand heavy-duty usage and handling. 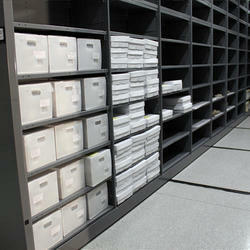 The storage bays can easily slide from one end to another to retrieve materials and files. 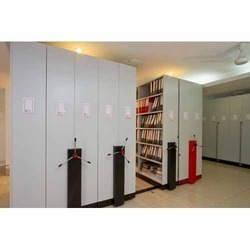 We are the manufacturer of File Storage Compactors , storage system and all type of compactor storage system. We do customized for all clients. 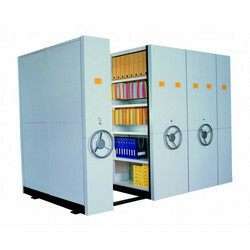 we manufacturer file storage compactor for all categories client as automobile company, hotel industries, etc. We engaged in manufacturing of different size of Commercial Compactor and as per the client. We believe in after sale service. We are engaged in manufacturing and supplying High-Grade Mobile System. These systems are used by Companies engaged in the production of the mobiles. The systems offered by us are manufactured according to the set industrial standards using the high-grade raw material. in addition to this, we also test these systems on various parameters. We provide our clients with a wide range of storage compactors, Industrial Compactors System that is a perfect choice for ground feed applications. Offered at industry leading price, these compactors are specially designed to accept larger material. Further, these are manufactured using quality raw material to ensure long working life. Our range is inexpensive and available in various specifications to fulfil different requirements of clients. Available In both manual & mechanical system. Rails are made of 28mm dia MS round bar. Heavy duty grade 1 Iron casted wheels with anti-rust zinc/nickle coating. Drive system designed for mechanical advantage to minimize “torque” required for movement. 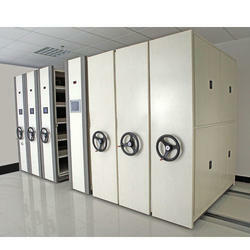 Our mechanical wheel type mobile storage unit is designed by using different gear to move the cabinet by gently turning the hand wheel. The design is to minimize power to move a huge object smoothly and quieter. User friendly PU steering wheel handle. Specially designed track and wheel arrangement for smooth and easy operation. Rubber beading can be provided to protect contents from dust and moisture at additional cost. Anti-tilting mechanism provided for safety on single faced mobile unit. Special Index pocket provided on each day to know the contents of each rack. 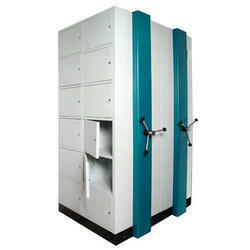 Provision of manual locking of Individual units when in use, ensures safety. 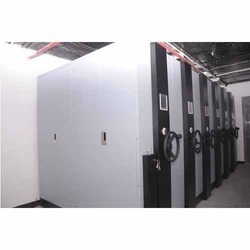 Centralized locking arrangement is provided on the last movable unit and gets lock when all the units are brought together. To know Different configuration of Compactor please see attached pdf. 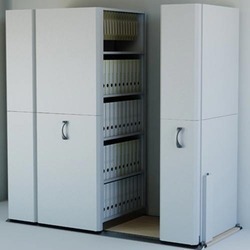 Shri Hari Mobile Rack (Compactor) creates space within space, saves 85% space. 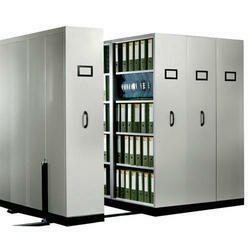 It consumes lesser space and increase capacity, prevents your file & goods from dust & insects. 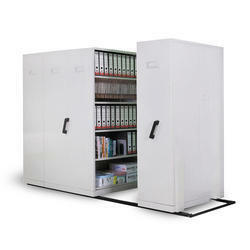 Shri Hari Mobile Racks (Compactor) is strong & easy to operate, store maximum files in minimum space. Keep your important document & valuable in lock & key. 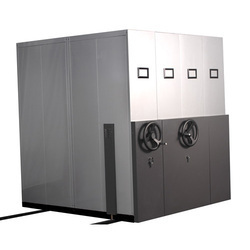 Entire system can be locked into position with one locking operation. 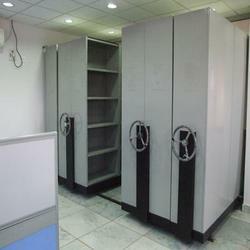 We are manufacturer of compactor shelving system and we do as per client. We believe after sale service. We are the manufacturer of Fire Resistant Compactors, and all type of compactors, we do customized compactors for all clients. 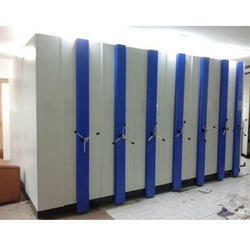 We are manufacturer file compactors storage system, and all type of compactors in all size and customized for all clients. 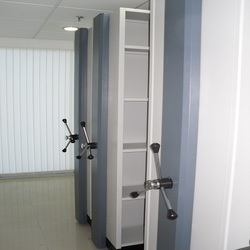 We are the leading manufacturer of mobile shelving compactor for all industries . We do customized work for our clients. We do good projects also. We are the manufacturer of Filling Compactors and all type of compactors and storage compactors , mobile compactors, etc. We do customized work for clients. 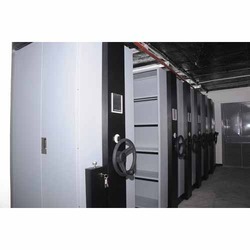 Available with us is an extensive range of Mobile Compactors, Mobile Storage Compactors, Mobile Storage Systems, Mobile Racking Storage and Mobile Racking Storage Systems which are user friendly and easy to install. 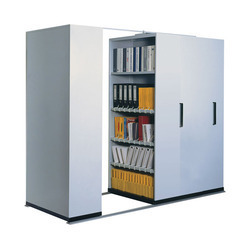 Used to recover the lost floor space, our range of mobile compactors is suitable for every type of storage. These are cost effective and provided with special wheel and rail constructions to ensure longer service life. 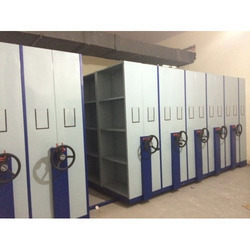 We engaged in manufacturing of different size of compactor storage system and as per the client. 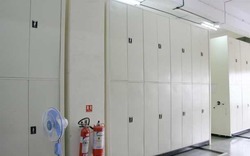 Looking for Industrial Storage Systems ?